Included on factory-equipped pre-owned vehicles. 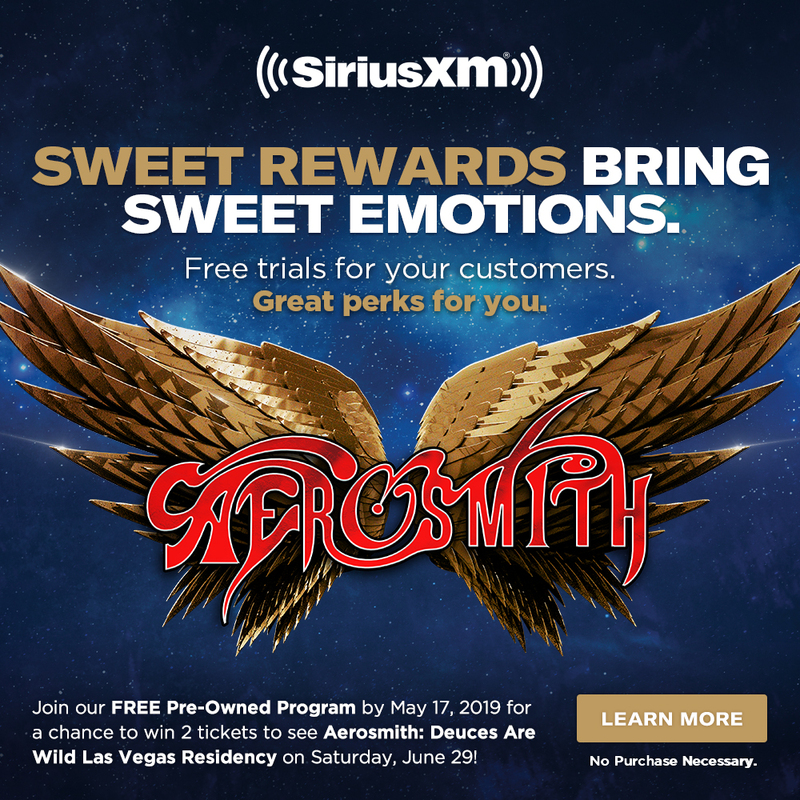 The SiriusXM Pre-Owned Program gives customers purchasing vehicles factory-equipped with satellite radio a FREE* 3-Month All Access Trial Subscription, courtesy of your dealership and SiriusXM. It’s the kind of added value your customers are looking for when buying a pre-owned vehicle. Simply select your DMS provider's logo for instructions to opt-in to SiriusXM in your DMS Software. Your dealers’ customers will get a FREE 3-Month Trial Subscription in their car, on the app and online with over 150 channels, including commercial-free music plus sports, news, talk and entertainment. Use the FREE SiriusXM Dealer App to refresh the SiriusXM radios on your lot and demonstrate SiriusXM as a selling feature during test drives. Available on all Pre-Owned vehicles factory-equipped with SiriusXM regardless of manufacturer. The best entertainment, delivered at absolutely no cost to the Dealership or their customers!